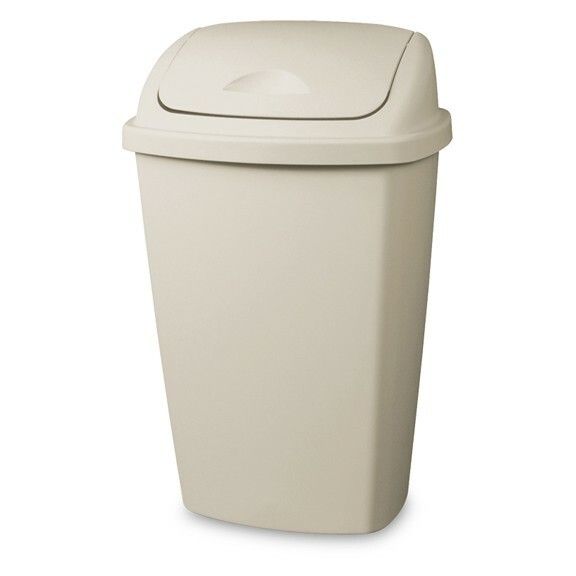 The classic size for traditional tall kitchen cans, 12 to 16 gallon garbage bags are workhorses around the house. 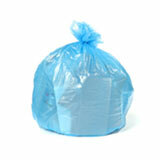 These great medium sized trash bags come in a wide variety of colors, thicknesses, and excellent resin materials. 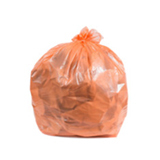 You can choose high-density plastic for strong, lightweight, economical waste basket liners which stand up well to wet garbage, or low-density plastic for thick garbage bags with extra puncture resistance. 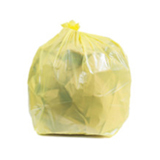 Our 12-16 Gallon Bag collection offers many bags that usually work well in the cans below. 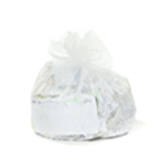 Whether you’re buying waste can liners for the kitchen, bathroom, or office, this 12 to 16 gallon size is large enough to hold a considerable load: between 60 and 75 lbs in most cases, depending on the thickness of the resin. 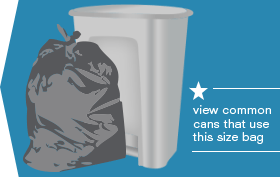 At the same time it’s small enough to be convenient and portable, so taking out the trash never needs to be an arduous chore. 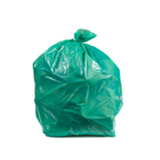 In our selection you’ll find everything from opaque black garbage bags (which look great in a stainless steel can and hide away unsightly food waste) to pristine white trash bags (for a sparklingly sanitary look), and everything in between, including bright green garbage bags, clear trash bags, blue recycling garbage bags and more. 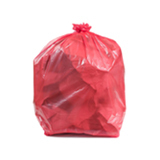 In addition to the standard 13 gallon trash bags, we offer a variety of different dimensions so your bag fits your trash can perfectly. 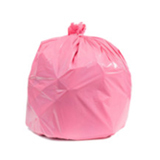 If you aren’t buying wholesale trash bags yet, why not? 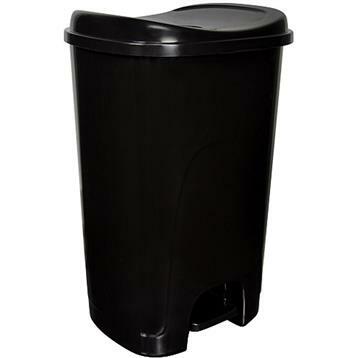 Buying bulk waste basket liners is an excellent way to cut costs around the home or in the workplace, all without compromising on quality. 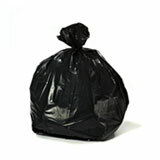 When you purchase wholesale garbage bags from Plastic Place, you have our 100% satisfaction guarantee. 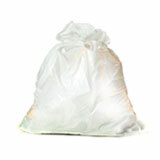 We source the highest quality trash bags on the market, and deliver them with the highest level of customer service. 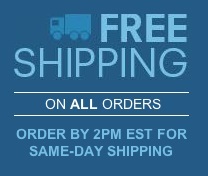 We make it our mission to save you money, time, and effort, and we’ll always go above and beyond to make sure your experience with us is seamless every time.